We help brands build & manage their online communities through blended social media. We do it all. Coffee? Leverage the power of social media for your brand. With more than 13 million Australian users, social media is now arguably the most important part of the marketing mix. So, getting it right has become more crucial than ever before. Indeed, if your brand is not talking to customers on Facebook, Twitter, LinkedIn, Google+, or anywhere else in the digital space, it risks losing them to competitors who are already actively engaging online. The real challenge for you is finding the time to manage your social media marketing, while having access to the expertise needed to make it a success. That’s where we can help. We‘ll deliver a 360° social media solution for your brand. 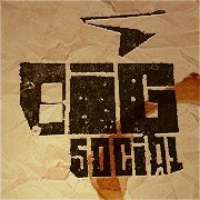 At Big Social we take the stress out of social media by implementing a bespoke, end-to-end strategy, that will not only drive customer engagement and build brand loyalty, but more importantly, increase sales opportunities in the long run. -And when executed properly, we believe it can help build for your brand, a very -passionate social media community, that will happily spread your message across their social network. Think of us as the consummate party host; who ‘works the room’ and introduces you to everyone you need to know. All you have to do is turn up and enjoy yourself.